Jesus’ statement in Acts 1:8, that his disciples would be his witnesses in Jerusalem, in Judea and Samaria, and to the ends of the earth; created reader expections that we have been following throughout the book of Acts. So far, everything has happened just as Jesus said it would happen. And now we’ve come to the final element of that programmatic statement–the ends of the earth. In this sample of Hebrew poetry the last two lines are parallel. In this case the two lines are saying nearly the same thing. That means that we can understand “nations” and “ends of the earth” as being nearly synonomous in meaning. In Hebrew, there is a single word that can carry the meaning for “nations” and “gentiles.” So in Acts 1:8, when Jesus talks about the “ends of the earth” he’s probably talking about the gentiles. At the end of the last article I made note of the fact that in Acts 9:31 we find a statement that summarizes the success of the mission to Judea and Samaria. That would seem to indicate that 9:32 begins a new section and indeed, in 9:32 our attention turns to Peter and his ministry along the coast of the Mediterranean Sea. The story follows Peter from Lydda to Joppa which is the setting for chapter 10. 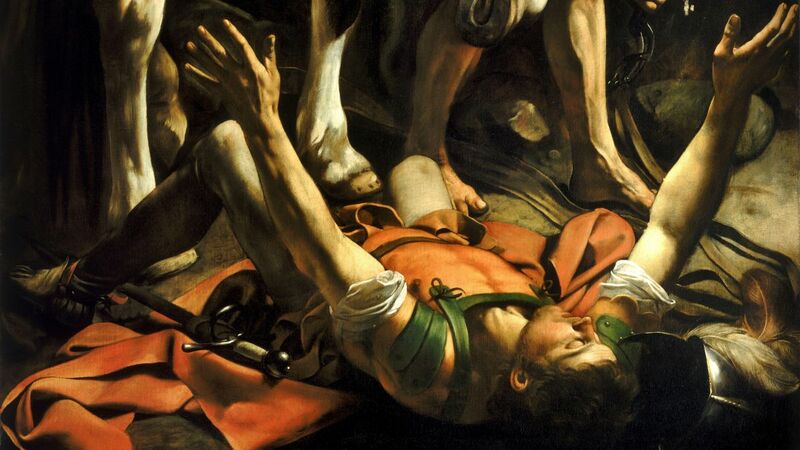 Acts 10 and 11 relate the conversion of Cornelius and the subsequent response of the apostles. Cornelius, you may recall, is often referred to as the first Gentile convert. As we read this chapter we’re going to pay attention to two things. First, we’ll pay attention to who is taking the initiative or who is orchestrating events at every step of the narrative. Second, we’re going to pay attention to how much Cornelius and Peter understand about what’s happening. Let’s begin with Cornelius in Acts 10:1-8. In verses 1-2 we’re introduced to Cornelius. He’s a god-fearer and that’s important information to the story. A god-fearer is a Gentile who has shown interest in the Jewish religion and monotheism, who may even observe many aspects of the Jewish religion, but who has not yet become a Jew. Next we read of the vision that Cornelius sees in verses 3-6. In the vision, an angel gives Cornelius instructions to go send for Peter, who is currently residing in Joppa. In verses 6-8 we read that Cornelius does just what the angel asked. So far, God is directing the steps of the narrative. 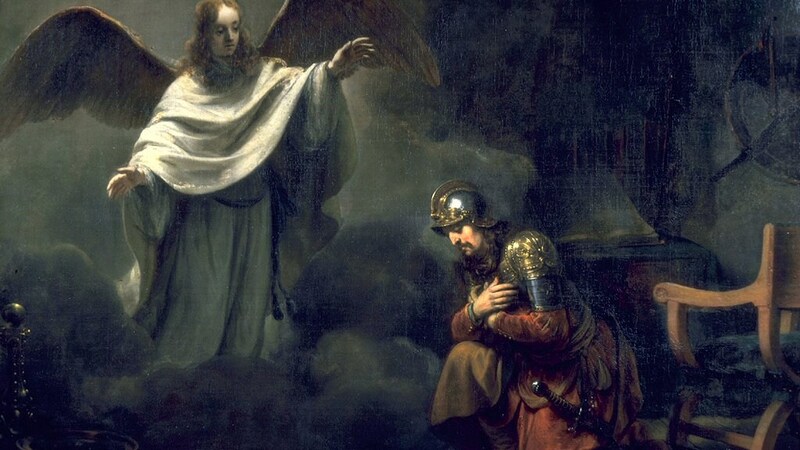 God has sent instructions to Cornelius through an angel and Cornelius has obeyed. What God has made clean, do not call common. Verse 17 interrupts the dream sequence by letting us know that while Peter is contemplating the meaning of the dream the three messengers from Cornelius show up outside his door. This comment about Peter’s pondering is important. This statement lets us know that Peter is not yet aware of the significance of the dream. In fact, verse 19 reinforces this fact. We should always remember as we read the Bible that information about what people are thinking is not given so that we know what people are thinking. It’s given because the author wants to guide our reading of the text. What we need to see here is that the author is making a connection between these three Gentiles who have shown up at Peter’s door and the dream. He’s also making clear, as these three Gentiles show up, that Peter is still not sure about the meaning of the dream. This is important because the author wants us to follow what Peter knows and what he discovers and when. The climax of the narrative will occur when Peter comes to a full recognition of the significance of this dream. Right now Peter has no idea what’s going on. Behold, three men are looking for you. Rise and go down and accompany them without hesitation, for I have sent them. When the men arrive Peter asked them why they have come. They inform Peter than an angel spoke to Cornelius instructing him to send for Peter in order to ‘hear what Peter has to say.’ That’s kind of vague. And as we’ll see later, it doesn’t really tell Peter much about what’s going on here. But Peter goes with them. Why? Because God told him to. Notice that God is working on both ends. He appears to Cornelius in a vision to get him to send for Peter and he speaks to Peter to get him go with his messengers. None of this would be happening if God wasn’t the one orchestrating events. Now let’s look at verses 24-29. Peter shows up at Cornelius’ house and they have their introductions and then Peter wants to know why Cornelius sent for him. So he asks. But while he’s asking he lets us in on some important information. You yourselves know how unlawful it is for a Jew to associate with or to visit anyone of another nation, but God has shown me that I should not call any person common or unclean. So when I was sent for, I came without objection. I ask then why you sent for me. Aha! So Peter is beginning to understand. Apparently he made a connection between the dream and the Spirit telling him to go with these Gentiles. But why? Why is it all of a sudden OK to associate with these Gentiles? What exactly is going on? Now therefore we are all here in the presence of God to hear all that you have been commanded by the Lord. Uh Oh! Ball’s back in Peter’s court but this guy is clueless. God hasn’t told him what to say. What’s he going to do? Wait a minute. Peter’s all of a sudden had a revelation. Suddenly he has an even better understanding of the dream than he had before. God wants him to share the news of Jesus with these Gentiles. That’s what his dream meant. God’s news of salvation is not just for the Jews, it’s for the Gentiles, too! Peter’s finally got it! Or does he? As Peter shares the gospel with these Gentiles all of a sudden, before Peter even finishes, the Spirit comes upon them something like at the Pentecost (it seems, Acts 10:47). And when the Jewish believers see this they are amazed. Wow! These Gentiles have been accepted by God. They are fit to be temples of God’s dwelling just like the Jews! Now he’s got it! Now Peter understands the full import of the vision and what God is doing. The Gospel is for the Gentiles! How does he know? Because God himself has come to dwell in them just like he came to dwell in the Jewish believers at the beginning. God has now truly declared the Gentiles clean and fit to be the dwelling place of his Spirit. Wait a minute. Let’s back up. This can’t be right. Something has gone seriously wrong and it needs to be corrected. Surely Peter has jumped the gun, he’s been duped, he’s been extremely presumptuous in taking the gospel to the Gentiles on his own without getting the OK of the leaders. He can’t just act on his own like this, making big decisions all by himself! He’s outta control! Of course, that’s what chapter 11 is about. It brings home the main point of this chapter. This is not Cornelius duping Peter. Cornelius didn’t know what was going on. This is not Peter being presumptuous or brash. The story makes it clear that there is no point in the narrative when Peter acts on his own. He’s always merely following the flow of events. Every step of the way God is the one who is directing the course of events. This is not the happenstance of history, it is not the mastermind of man, it is the very plan of God. The gospel to the Gentiles is the very thing that God has been intending since the beginning of time. And it makes sense. In the Old Testament God’s presence was with Israel. God cannot dwell with just anyone so he set aside a people that he made holy and he made his dwelling among them. If you wanted to dwell with God you needed to be a part of this people that God had declared clean. But when Jesus came he actually cleansed us of our sins by his death and resurrection. The necessary and logical result of what Jesus did is that now all people through Jesus can dwell in God’s presence. God’s presence is no longer confined to the temple. Jesus redefines the temple and God’s presence. In the beginning, Jewish Christians didn’t completely understand the implications of what Jesus had done. They thought this was going to be a Jewish movement. But how could it be? Jesus has actually cleansed us of our sins. If the message of the Gospels is true, then it can mean nothing less than salvation for all who come to God through Jesus.